Scientists say a proposed fishing ban near the island of Palau would help the oceanic industry. The small nation in the Pacific is planning to ban commercial fishing within a 200 nautical mile Exclusive Economic zone. There has been concern from tuna farmers in the area, but the head of an ocean research group says the marine park would help tune populations across the Pacific. 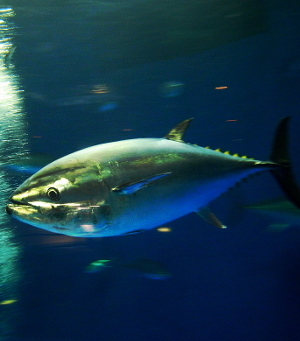 “They will have an area where tuna can breed and grow, so that the other nations may be able to take advantage of healthier fish,” Director of the Global Oceans Legacy at Pew Charitable Trust, Matt Rand has told the Australia Network. Mr Rand said it would be possible to increase the number of allocated fishing days for other Pacific nations if less commercial fishing occurs in Palau. “Those days could just quite possibly be moved over to the other countries, so that other countries have more ability to fish, so I don't think this threatens the tuna fishery in the Pacific in any major way at this point,” he said. He says careful planning including more marine sanctuaries are key to improving the health of industry and environment.